MX-17 is simply gorgeous right out of the box! But y’know I like to change things up a little bit, and I like a clean, simple, pretty desktop with just a tiny bit of bling. I still haven’t decided if I’ll keep Cairo-Dock on or go back to the awesome Xfce panel on the bottom that I always love. I’m just play’n around with it. That’s just the notification stuff in the top panel, and favorite app launchers in the super wicked-kewl dock on the bottom that magnifies the icons when you mouse over them and bounces them when you click on one to launch it. I also always liked that 3D effect you get from the little table the icons appear to be resting on, reflected on the panel. So pretty, so cool. This is Debian Linux made really easy, but without the instability and bloat of Ubuntu and most of it’s derivatives. With the ‘buntu-based ones (besides Linux Mint and PeppermintOS), I generally was very leery of updates from upstream (meaning, from Ubuntu). I have learned to selectively update, but for new users who haven’t learned to selectively update, I always recommend either Mint, Peppermint, or Linux Lite as long as the updater from unlockforus is installed first before updating a new installation. But that kinda limits your choices, doesn’t it? While that updater should theoretically work on any Ubuntu-based distro, including the official Ubuntu flavors (Xubu, Lubu, Kubu, etc), it’s intended only for the distros that ship with it or on Linux Lite. Better yet, choose a distro that doesn’t need to be modified with added special software to make it safe. That’s one of the things I always hated about Windows for goodnessakes, you had to add extra stuff just to maintain the operating system! Like antivirus, anti-spyware, anti-ransomware, crap cleaners, optimizers, etc. Well I prefer to run applications, not the operating system! Of course the user should maintain his computer and it’s OS, I’m not say’n (s)he shouldn’t! I’m jus’ say’n a newcomer to Linux should start with a system that is already as safe and stable and reliable as it can be. If it’s super newbie friendly, that’s a nice bonus, but starting with a rock-stable foundation that isn’t borked by updates is, in my opinion, lots more important. For goodnessakes I didn’t want a Linux that “looks and acts like Windows” in order to “make it easy for Windows users to adapt to Linux.” Fine, make it easy, but I don’t want a FOSS copy of the operating system I just replaced because it sucked and got in my way all the time and required abuncha bloatware and time to maintain. I want it to be different enough from Winblows to make me feel good about choosing an alternative OS, but point-and-clicky enough to be “friendly.” That’s one of the reasons I reeeeeally like the Xfce desktop! It can be modified all kindsa ways to look and behave just about any way you want it to, and it’s not a resource-hungry behemoth like KDE or Gnome. In fact, the Xfce desktop is the same one Linux Lite uses to “make it easy for Windows users to adapt.” Alot of people apparently like and want a “Windows-like” desktop, which is why Zorin and Linux Lite are so popular I guess. But for me, no thank you, I want nothing to look or act like Windows. In fact, if it looks a little scary and sinister, like “touch it and die,” that’s cool too. Like Crunchbang Linux, for example, came with a warning that it could make your computer go “Crunch! Bang!” if you press the wrong button or something. It had a black, almost sinister-looking Openbox desktop that made you feel like a superduper-techno-wizard just for having successfully installed it! Mwahahahaaa! Now to try to take over the planet! MX-17 is my favorite Linux now, because it’s got the newbie-friendly stuff going on (enough of it to make it suitable for competent newbies – not enough to protect them from being irresponsibly stupid), but inherently much safer with it’s Debian Stable base than any of the Ubuntu-based stuff. I love my Linux Lite! On decent hardware it is light, fast, simple, and best distro for newcomers to Linux, bar none. On older hardware, especially legacy hardware, not so much anymore. I can’t run it nimbly on the old Dell Dimension, so I’m loading up an ultralight OS on it called AntiX. Reading up on this distro and it’s mid-weight sibling, MXLinux, I found some very cool stuff that has me thinking hard about even my newer machine. 1. – It is based on Debian Stable. That means several things: Ubuntu-based distros are famous for including beta and beta-quality stuff in their updates! Debian Stable simply does not. Breakage in Debian Stable is very rare. So there’s really no need for a “Mint-Updater” to filter out the high-risk, dangerous system-breaking stuff. That’s a biggie for me. It also means access to the huge, vast, far-flung Debian repositories of free and open-source software. The largest on Earth. No beta stuff, not cutting-edge, the latest and greatest, but definitely more reliable. 2. – Systemd is there, but not used in MXLinux. A lot of software depends on systemd now, so installing just about anything from the Gnome project and other software means you have to have systemd as a dependency. But MXLinux doesn’t use systemd as it’s init, nor as the invisible lord and master of every process and daemon on the system, as it does in both Debian and Ubuntu and most of their derivative distros. For most users – including me, actually – this is not any big deal. But in the back of my mind I wonder what systemd may become as it takes over more and more functions in Linux in the future. 3. 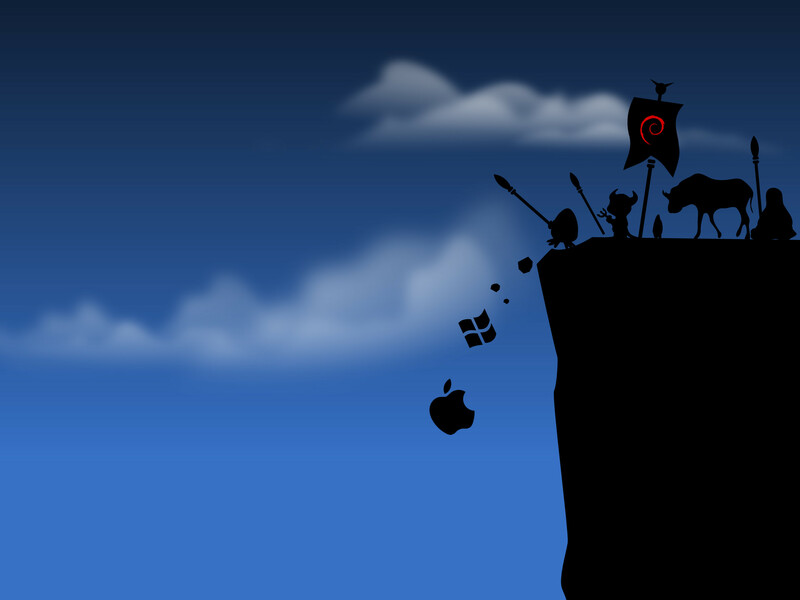 – In addition to the Debian Stable repositories, MXLinux has their own, with up-to-date and tested software. No more adding PPAs just to get this or that bit of software. That is a big deal to me, since I think it’s dangerous to add PPAs to your software sources. Just for these three things, I would thing seriously about adopting MXLinux as my “default” distro, especially on modest hardware. AntiX has no systemd at all, by the way! Debian-base, systemd-free. That’s going on the old Dell Dimension. Linux Mint Xfce is packed with features and tools that keep it safe and fairly stable, but it has gradually slowed more and more over a period of weeks. To be fair, some of the slowness may be due to the major kernel updates that have come in rapid succession in order to patch the recently discovered Intel vulnerabilities. Even the creator of Linux, the venerable Linus Torvaldes, has called many of these security updates “junk,” unnecessary and burdensome. I remain unconvinced that this Intel vulnerability is serious enough to justify the cure, which seems to be worse than the disease. While these security updates to the kernel (known to slow some machines by as much as 30 percent!) might help explain the recent slowdown, I still find Linux Mint’s most “lightweight” edition much more “bloated” with extra stuff that may or may not actually make it “better” – whether “better” for new Linux users or “better” in some other way I don’t really understand. The old paradigm – that greater ease of use means greater loss of speed and efficiency – definitely holds true in this otherwise awesome distribution. That paradigm has become an axiom in the Linux world. But there is one exception that I have found and cannot explain. It’s Linux Lite! It is built on the same Ubuntu base as Linux Mint, yet suffers none of the loss-of-speed-in-exchange-for-user-friendliness issues that we all thought was “just the way it is, inevitably.” Even if the kernel updates account for a lot of this difference, it’s the highly-modified Xfce mixture in Linux Lite that accounts for this amazing exception to the rule. Too many Xfce distros aim at compositing window managers and unnecessary daemons running in the background. 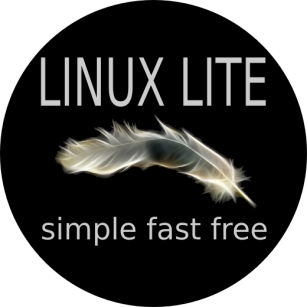 While Linux Lite has both compositing and background processes running, they are well-chosen and don’t demand the same resources as the most commonly found ones. The only negative on the back burner is the Ubuntu base. Not that Ubuntu isn’t a great – maybe even the best – base to build a distro upon, but because the updates Ubuntu sends down the chute to it’s users (and all the Ubuntu-derived distros “downstream”) include Beta software and beta-quality software. Only Linux Mint has effectively addressed this hazard through the use of it’s wonderful Mint Updater. Fortunately, that superb safety net is also available to users of Linux Lite (at unlockforus.com), so you can have your cake and eat it too! Though I haven’t tried it, I suspect it might work just as well on any Ubuntu-derived distribution, from L/K/Xubuntu to Zorin, Bodhi, and Peppermint. Were it not for the fact that I love restoring older computers and giving them new life using the most beginner-friendly distribution possible, I might not be a Linux Lite user because I remain always a bit leery and suspicious of Ubuntu and it’s inherent updating issues. But I use Linux Lite (modified with selected tools from Unlockforus, especially the Updater) to restore those old machines and introduce new users to the wonderful world of Linux. And I find that it’s easier to support these new users if I am a user myself. I have been heartily recommending Linux Lite for newcomers to, but even this awesome beginner’s distro (and not just for beginners, by the way) was susceptible to buggy from “upstream” (Ubuntu). A beta version of the Grub bootloader was included in updates from Linux Lite following the “recommended procedure” for updating the distro. It also affected those users who use the old Synaptic -→ Refresh -→ Mark All Upgrades -→ Apply procedure. The buggy Grub version – and it’s bug-free replacement – are Beta (experimental) software. Save that experimental stuff for the in-between releases for cry’n out loud. Beginners should not be beta testers! One of the best things about Linux Mint, when I was using it (no longer – very bloated compared to Linux Lite), is the wonderful Mint Updater! It allows the user to select updates and avoid the risky stuff. 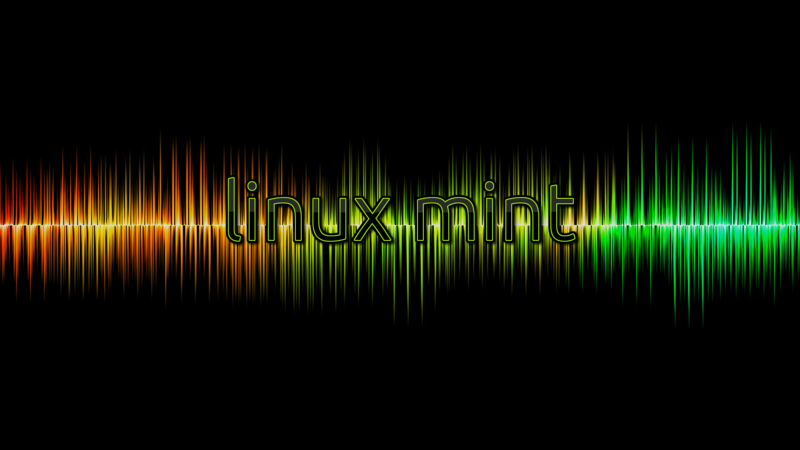 I’m pleased to report that the wonderful Mint Updater has been adapted for Linux Lite! It’s “unofficial,” not the “recommended procedure” for updating Linux Lite (although it may be in the future, I hope), but it saved me from the Grub Bug! Last month I wrote about replacing all the Mozilla stuff on my computer, as a kinda-sorta protest against their stupid, purely political decision to fire their CEO because he dared to hold and dared to express a politically incorrect opinion about gay “marriage.” I love the Mozilla products, especially Seamonkey – the wonderful Internet Suite risen like a phoenix from the ashes of the Netscape project. I was hoping to find an equal replacement for Seamonkey that is entirely free and open-source. I tried out a few and settled on two awesome applications that not only give me everything Seamonkey did, but with less demand on system resources. My browser is Xfce’s own wonderful ultralight browser, Midori. It can “identify” as any browser you wish, has built-in and customizable “add-on” options like Ad Blocker (which I don’t use, by the way, perhaps more on that later). It used to crash inexplicably all the time. Now it’s rock-stable on Linux Lite, Xubuntu, and SalixOS. KMail is a sweet little KDE application that does almost everything quickly and simply, but it doesn’t allow for embedding images while composing HTML messages. That’s it’s only drawback – that and, of course, all the KDE dependencies that come with it when trying to install it in Linux Lite (Xfce desktop environment). Very nice, but not as full-featured as Thunderbird or Seamonkey just because of the Composer. 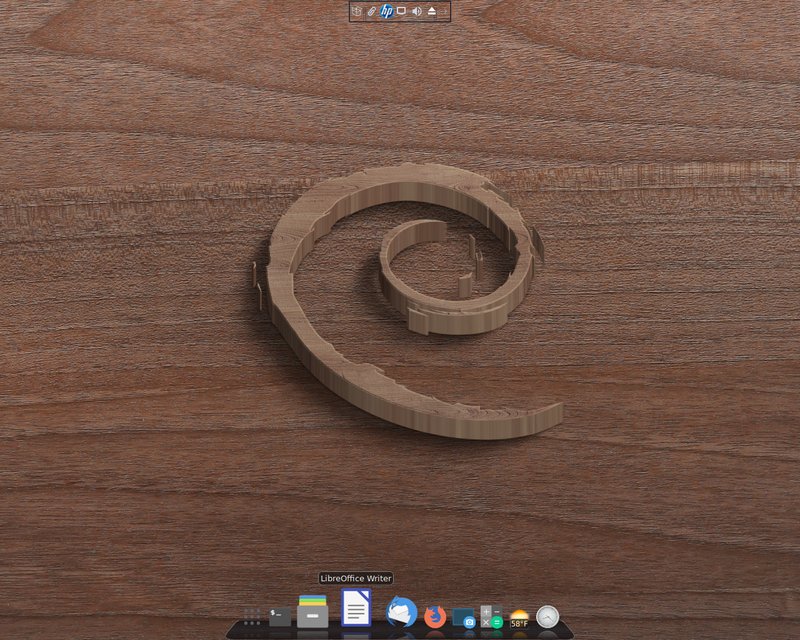 Pantheon-Mail is ElementaryOS’ own fork of the little Gnome e-mail client called Geary. I found absolutely no difference between the two at all, installing Geary from the Ubuntu repositories and Pantheon-Mail from ElementaryOS’ PPA. Both seem identical to me. The only difference was the default icon for the Xfce Panel, and the absence of any icons for certain options in Pantheon-Mail. Why fork a good project just to change it’s name? I found no difference whatsoever in my week-long comparison of the two. Neither has a proper Address Book, but depend on gathered addresses from incoming and outgoing e-mail. Rich Text is available but without any choice of font – just the default font and size, and the only rich-text options are color, Bold, Italics, Strikethrough, and Underline. I didn’t even bother with the very popular and supposedly “full-featured” email clients Claws-Mail and Slypheed. I didn’t bother because neither has a mail composer that offers anything but plain text. It’s possible to write HTML messages, but you have to add a whole ‘nother application, an external editor. Hey I’m just a simple little sidekick, still scared of “complicated” software, and I prefer to keep things simple. For those who are aware of HTML’s “risks” and prefer only plain text, these two are very popular in the Linux world. I guess I have avoided this one for so long because of it’s association with Novell, a big office software company. But it’s FOSS, released under the GPL license, officially a Gnome project distributed by Novell (whatever that means, I got my copy from the repository, lol). Not available in Slackware or Salix because there’s just no Gnome stuff available for Slackware users, it is absolutely awesome. Full HTML composing using a Thunderbird-like WYSIWYG editor (oh, that’s “What You See Is What You Get”) and a truly super-cool interface, friendly enough for a little, mildly technophobic sidekick. That’s the options available in the Composer window. Actually more options than Seamonkey offers, believe it or not. This post is being composed and published entirely via email, which is simply the way I prefer to do it when I can. Perhaps a leftover habit from back when we were on dial-up Internet and I did all my reading and writing offline anyway using an e-mail client (Eudora on Windows, then Thunderbird on Linux, and now Evolution (on Linux but not available as a Slackware package or Slack-build). When I’m ready I’ll test them out on Void Linux and write about it!